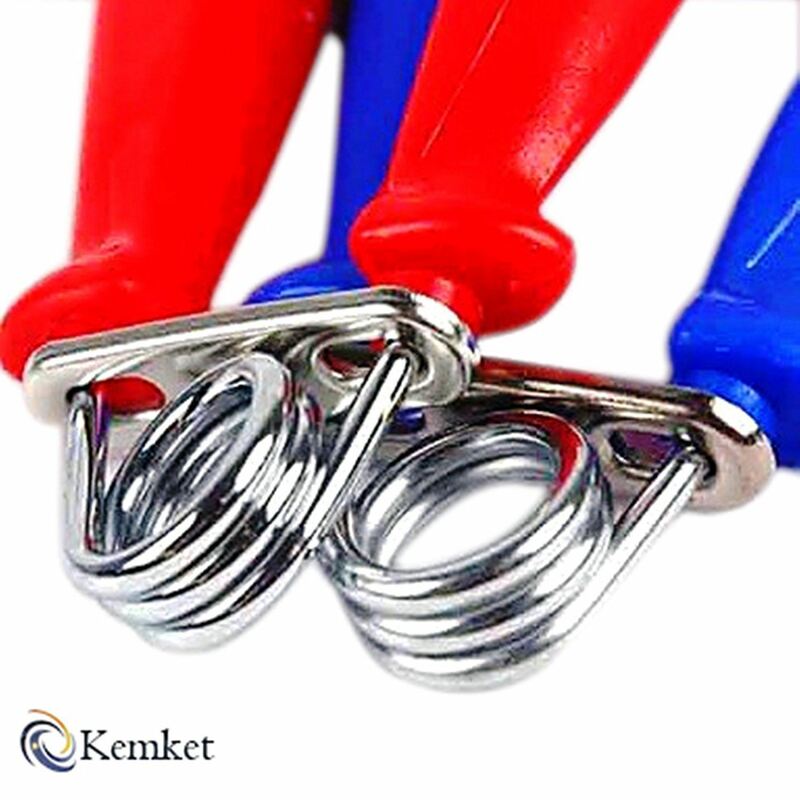 Kemket Hand Grip Strengthener With Counter Arm Benefits Improves Sports Performance - Exercises the muscles and joints in your hands, wrists and forearms to vastly improve performance when it comes to hitting, throwing, pulling, pushing, holding and control of sports equipment. 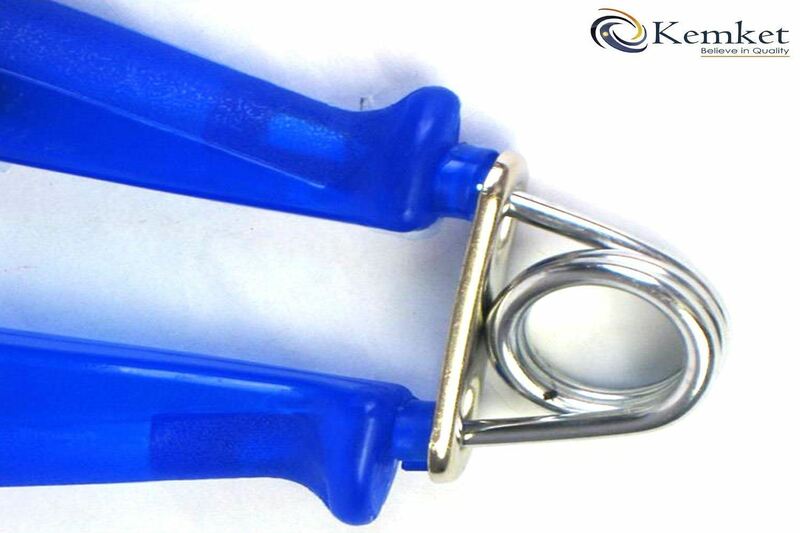 o Strengthens Fingers - Certain hand grip strengtheners allows you to work out each individual finger to develops and maintain strength and dexterity. This is excellent conditioning for not only athletes, but also musicians. o Increases Muscles - If you've ever been concerned about the size of your forearms in comparison with the rest of your arms, then consistent use of hand grip strengtheners will increase your forearm muscularity. o Improves Hand Endurance - The length of time that you can apply a specific amount of force will be increased. This is ideal for gripping onto things, carrying heavy items, pulling etc. without hand fatigue. o Reduces Risk of Injuries - For sports where the hands play a vital role such as boxing, you need to keep them in prime physical condition. Therefore, strengthening your hands is extremely important as it will allow you to punch harder. > Can you make 99 grips at one sitting? Counting how many times you've worked out is totally waste of efforts -Since you're going to work out more than 10 times. 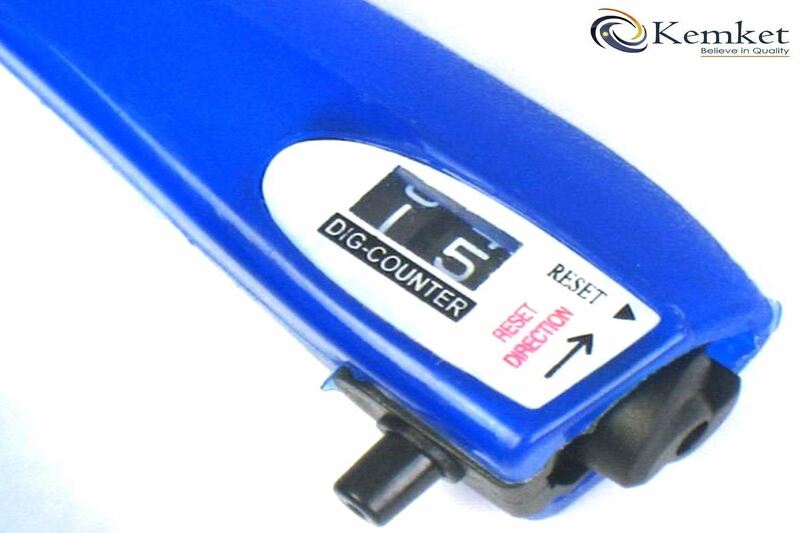 Now, you don't have to concentrate counting number while you work out. 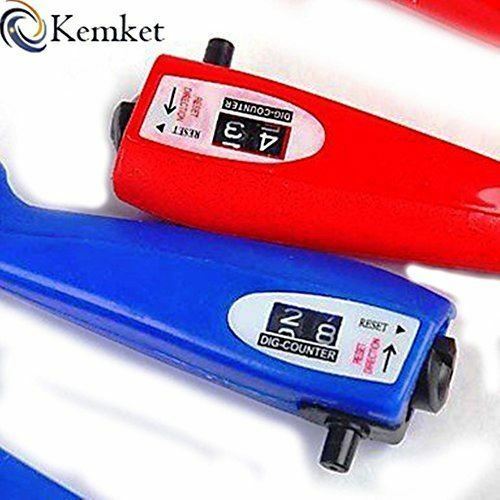 Kemket Counter Hand grip will count the number for you. Grip the handle and handle will press the counting button attached. The button will count the quantity of grip. 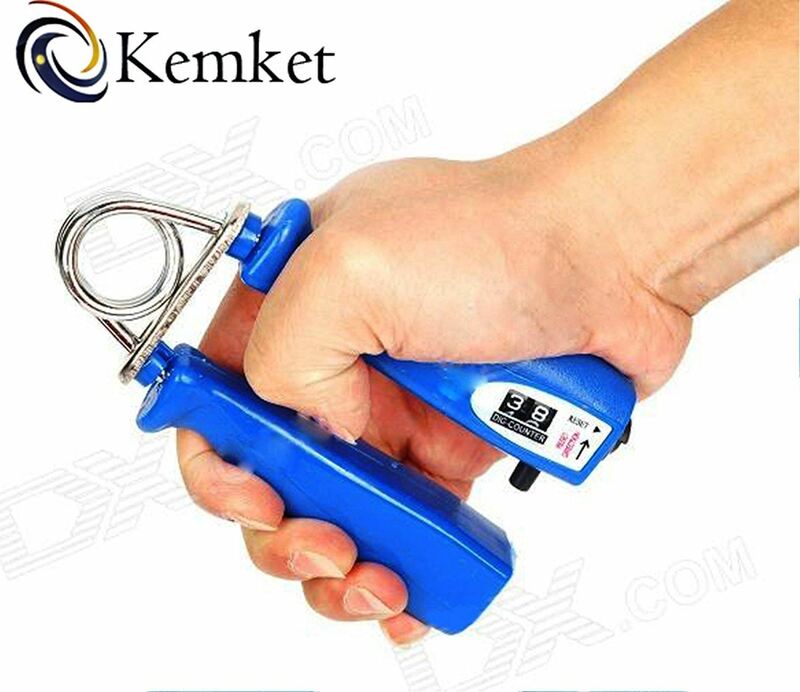 Little screen on handle will show you the number of grip. If you want to initialize the number, press the initialize lever under the handle and turn it until the number gets to zero. Than you're good to count it again. Hand grip exercises do a good job at strengthening your wrist, arms and corresponding muscles with time. If you do this in the gym, you get to see faster results since you're able to train with heavy weights. And also Counts how many times you've worked. Benefits Multiple Areas of Your Life: Build strength in fingers, hands and forearms to improve your athletic performance, rehabilitate after injury and remove strain from everyday tasks. If you have ever wanted forearms that look impressive and bigger than most other men, you should work out with hand grips. The principle works in this fashion. Muscles that are situated in your forearms are the ones controlling your fingers. Your forearm flexors control the closing of your hand, while your forearm extensors control the opening. 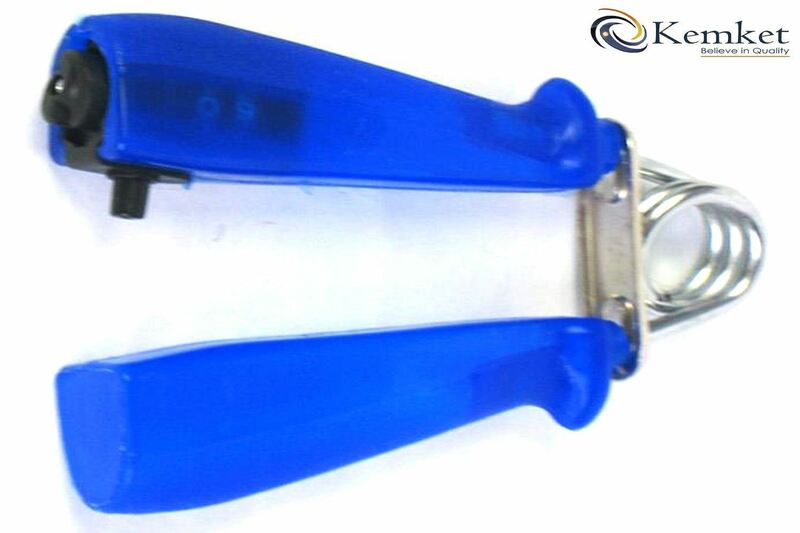 These muscles will be the primary beneficiaries of using hand grips. 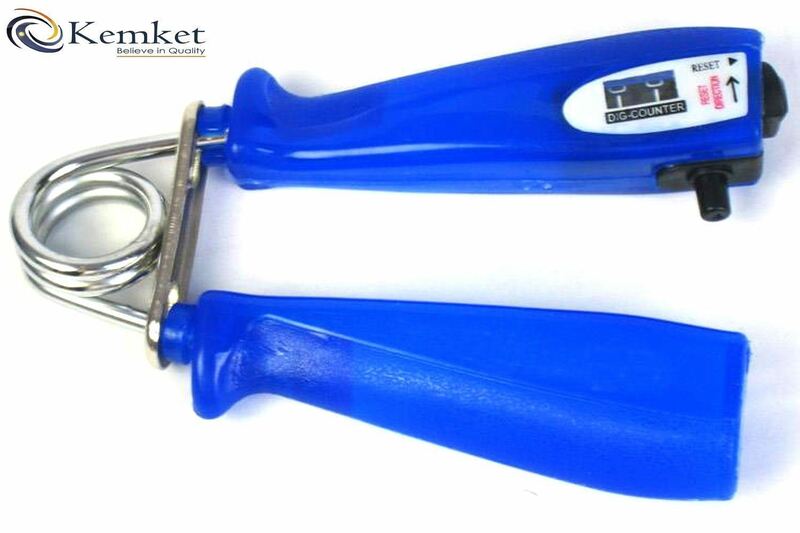 Hand grips are compact and portable lever-type devices that you squeeze in order to build up arm strength and muscle.